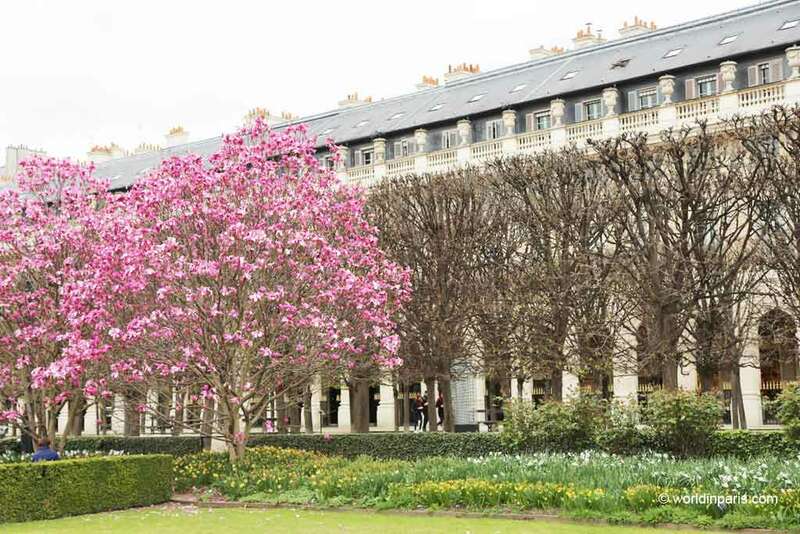 Springtime in Paris: Experience Paris in full bloom! Paris is a beautiful place to be during the springtime. After a gray and gloomy winter in Paris, spring begins to bloom, and the city becomes a more vibrant, fun place to visit. A so do locals’ social lives! 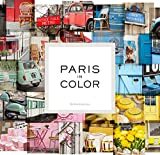 As spring arrives, Parisians get excited about flower shows, festivals, street fairs, and awesome outdoor flea markets. You will also see them spending time in the city’s great parks, and the Parisian cafes and terraces return again to life come springtime. 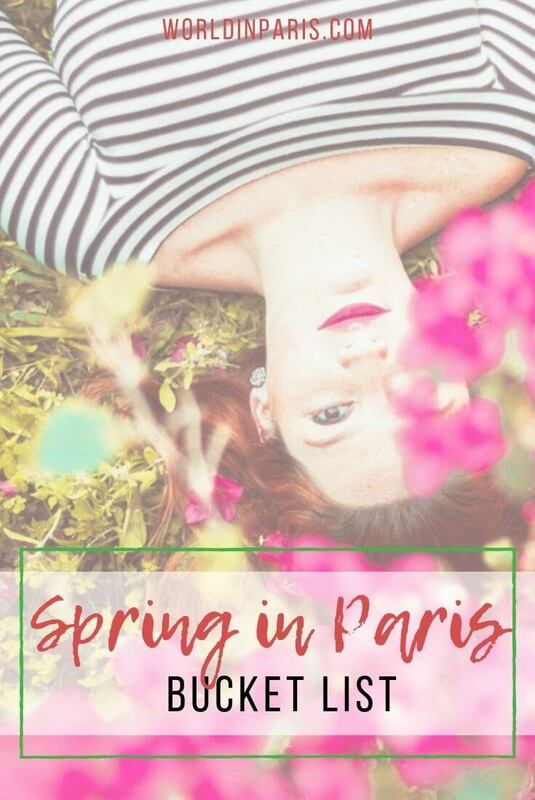 Wondering what to do in Paris in the spring? 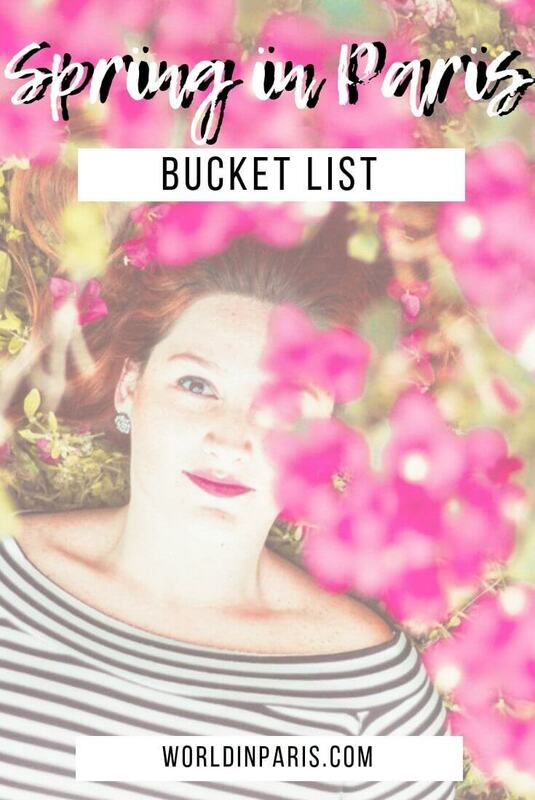 If you are planning a trip to Paris in the springtime, make the most of the season with our ultimate Spring in Paris Bucket List. With so many top spring art shows to attend and things to do outside, your calendar will be full from March through June! Spring is the best time to travel to Paris, the weather makes it a wonderful time to visit the city. During the day, the temperature can range from 16ºC (in April) to 26ºC (in June) while early morning or at night temperatures are still fresh (minimums of 8C° to 14C°). Early spring is also the best time to visit Paris to avoid crowds, at least until school holidays and Easter in Paris. 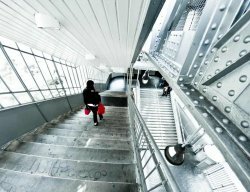 Enjoy Paris’ main tourist attractions without the lines or very short lines. 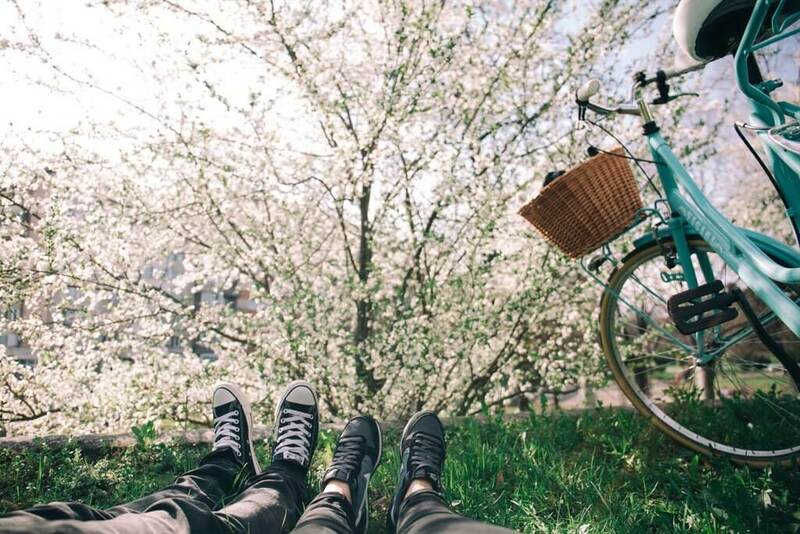 In short, spring is the best time to go to Paris and explore the city by bike or on foot! Bring comfortable shoes for walking, and don’t forget a jacket and an umbrella in case it rains, and you’re in for a treat during springtime in Paris. 1) The sidewalk cafés in Paris, with their laid-back feel, play an essential role in the city’s cultural and social life. Cafés are not dead in Paris during the winter, it’s just that people prefer to be inside where it is warm. And spring is a wonderful time to enjoy them in their full splendor – outdoors, without the crowds yet but with enough life to live up the atmosphere. 2) Explore the city’s parks and gardens. With the Spring trees and flowers burst out of their winter sleep, and the city becomes more colorful, offering some fantastic photo opportunities. Make the most of this colorful explosion by exploring some of Paris’ many wonderful parks and gardens. While most visitors have Tuileries Gardens or Luxembourg Gardens on their Paris bucket list, it is worth going off the beaten path to explore other beautiful parks located in lesser-known Paris Arrondissements such as Parc Buttes – Chaumont in Paris 19, the Promenade Plantée in Paris 12, or Parc Montsouris in Paris 14. 3) Paris by bike. Environmentally friendly, cheap, healthy and surprisingly convenient for navigating perilously congested city streets, bikes are becoming the preferred mode of transport for Parisians as soon as spring arrives in Paris. Visitors who want to discover Paris by bike while having fun can join the weekly free rides proposed by Paris Rando Vélo association. These Paris by bike rides happen every Friday evening and every 3rd Sunday of the month. 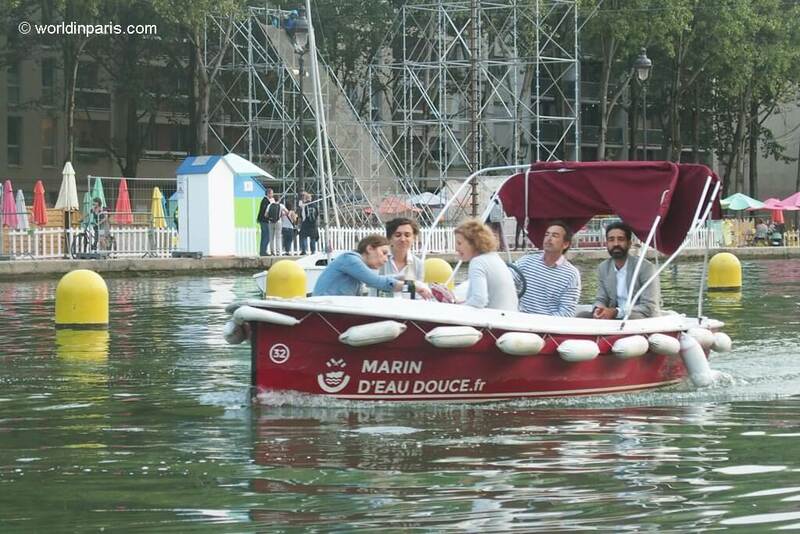 If you prefer a self-guided bike tour instead, check out our Canal de l’Ourcq bike tour. 4) Cruising Paris. In spring, when the days are longer and the weather in Paris starts getting warm, locals crowd the Seine River for waterside pétanque, drinks along the bar-terraces or casual Paris picnics dangling their feet over the water. 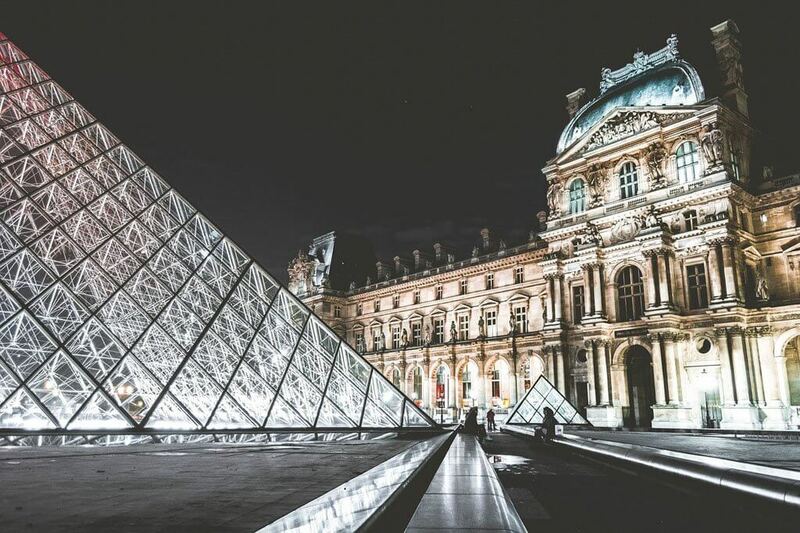 One of the most popular activities in Paris amongst visitors is the night cruise along the Seine River to admire the city’s historical monuments dotted along the route: Musée d’Orsay, the Conciergerie, Les Invalides … and of course the Eiffel Tower! 5) Paris from above. After a gray and gloomy winter in Paris, spring usually means sun and blue sky. This is a great opportunity for enjoying panoramic views of Paris from above, from some of the main Paris tourist attractions. 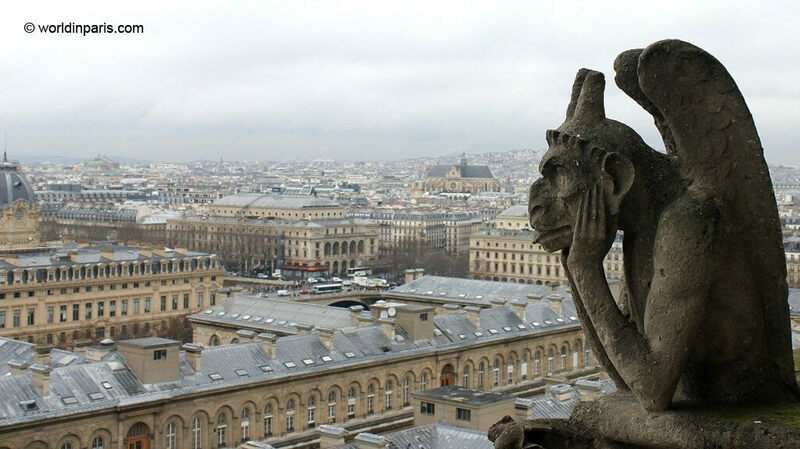 From medieval towers to Parisian churches, enjoy Paris from a different point of view! 6) Apero’ time. 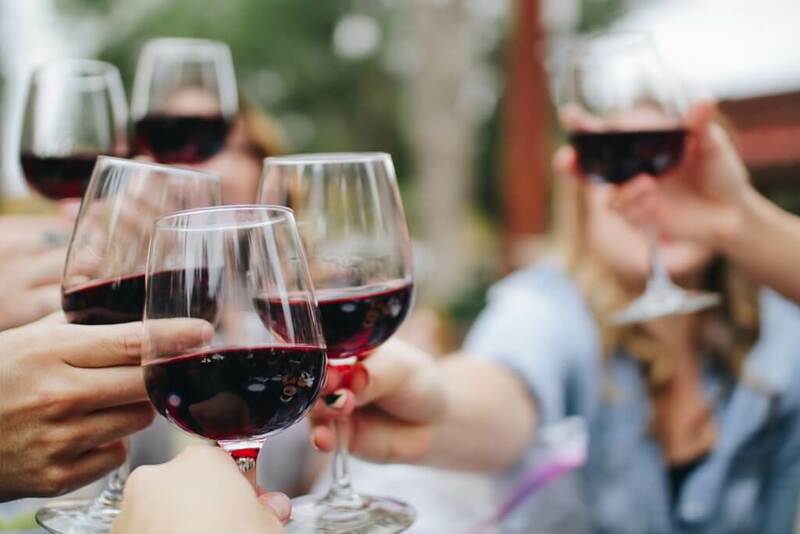 France is famous for its wine and your stay in Paris wouldn’t be a proper vacation if you didn’t enjoy a glass (or two!). Spring in Paris is the perfect time to enjoy one of the locals’ favorite activities, l‘heure de l’aperó! The apéritif, or apéro as it’s known in Paris, is an evening ritual (also an after-work ritual) that combines drinks, food, and friends. The apéro time is best enjoyed in a bar with an outdoor terrace. 7) Picnic and pétanque with friends. There’s nothing like a picnic in Paris, followed by a pétanque with friends, in the fresh spring air. The city has fantastic green spots for enjoying alfresco meals. Some popular picnic spots include Champ de Mars, in the shadow of the Eiffel Tower, and also Luxembourg Gardens and Tuileries Gardens. If you have the time, go off the beaten path to the northern arrondissements of Paris or a hidden square in Le Marais for a more local experience. And oh! don’t forget your wine tote bag! 8) Explore the small towns near Paris. 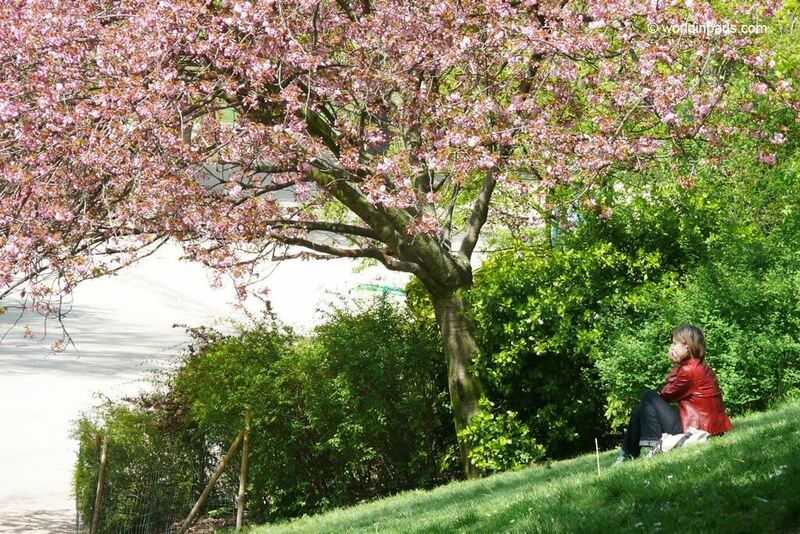 Paris in the spring is the perfect time to get out in the fresh air and see something else than the capital. 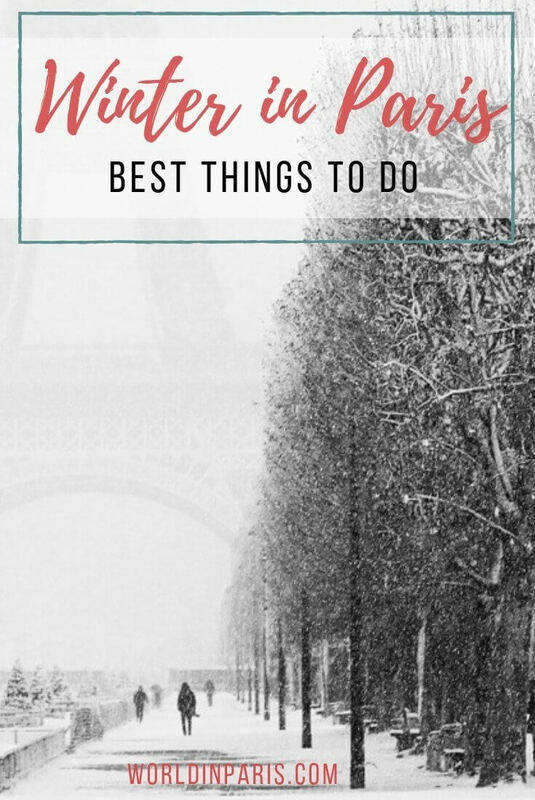 If you have a spare day in your Paris travel itinerary, there are some great day trips from Paris, easily reached by public transportation or with an organized Paris day tour. From small towns like medieval Provins or Auvers-Sur-Oise to beautiful châteaux like Château de Versailles or Château de Chantilly, we’ve you are covered in the post here below. 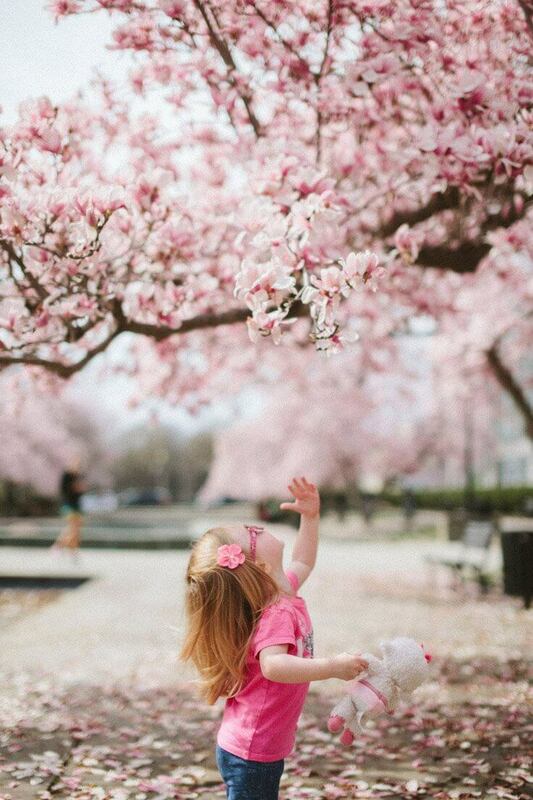 There are few more delightful ways to celebrate the arrival of the spring than by viewing the beautiful cherry blossoms or magnolia blossoms flowering all over Paris. 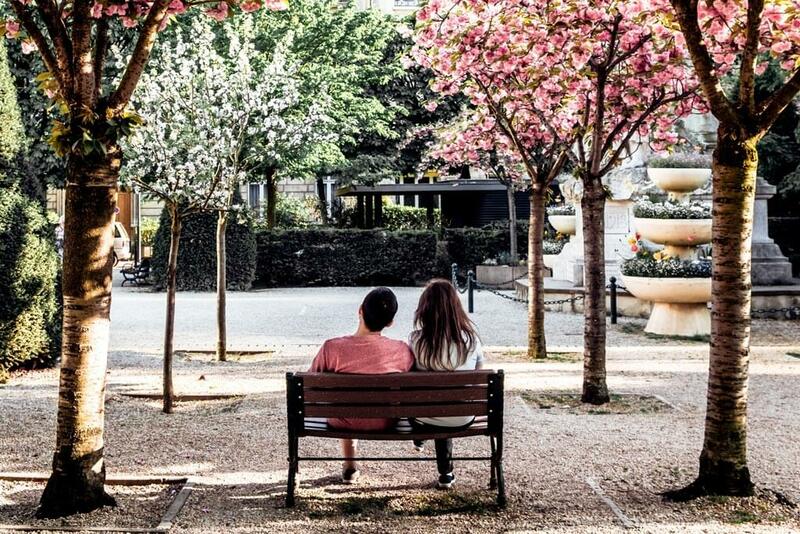 Everyone seems to know about cherry blossoms around the Eiffel Tower in the 7th Arrondissement of Paris but there are other equally beautiful places to enjoy the blossoms without the crowds. After a long winter, in April spring finally arrives in Paris. With warmer weather and fewer crowds, Paris in April can be great, despite the fact that the weather can be both wet and unpredictable. If you are visiting Paris in April, it is time to enjoy Paris outdoors, food festivals, and do walking tours. 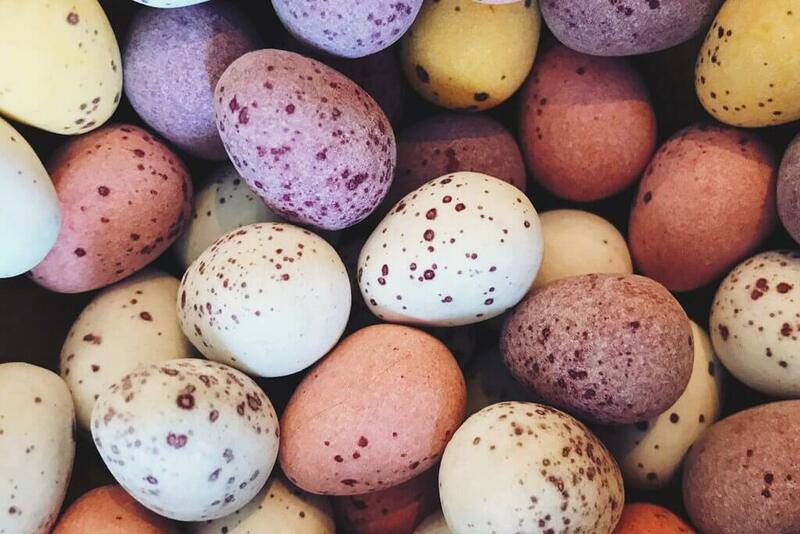 9) Easter in Paris is all about church services, meals with family, and spectacular chocolate creations. During Easter in Paris, all the patisseries and chocolatiers throughout the city decorate their shop windows with awesome Easter goodies. Shop displays by Pierre Hermé, Patrick Roger or Jean-Paul Hévin are well known by everybody. We recommend touring Saint Germain Neighbourhood on your own or with this amazing chocolate and pastry tour for a fantastic (and yummy) experience! 10) Have fun at Foire du Trône, the oldest funfair in France. La Foire du Trône opens its doors from 06 April 2019 to 02 June 2019 in Bois de Vincennes (Paris 12). 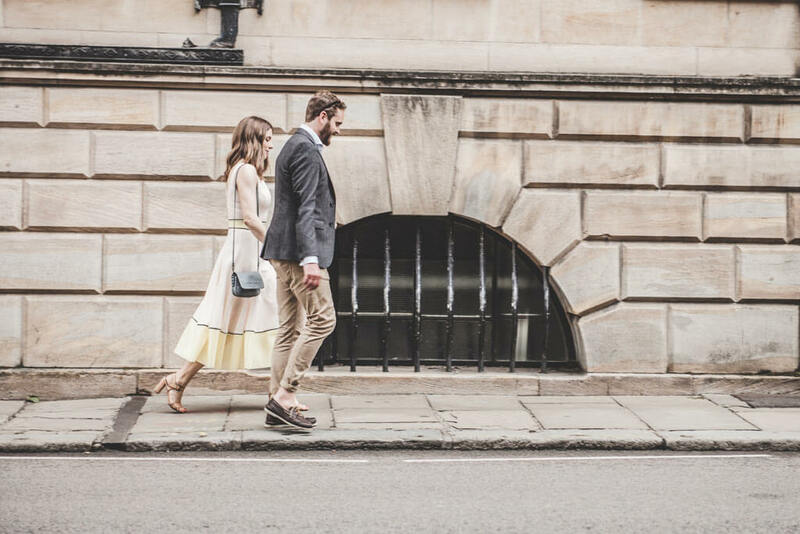 11) Take a walking tour to get to know the city better. Enjoy the streets of Paris, its beautiful architecture and the main sights from outside with our self guided Paris itineraries. Also, food tours in Paris are very popular this time of the year. 12) Food Festivals. Food is a very important part of the French and Parisian culture and April in Paris comes with interesting food festivals like the best baguette contest or the Sugar Paris. Click here for our best proposals of Food Festivals in Paris in April. 13) Color Run Paris. This is a fun 5 km run held on 15th April through the streets of Paris. Inspired by the Holi Festival in India, the runners are directed through color zones where volunteers through them natural colored powder. This is a great race to do with friends! In May, spring is well underway in Paris, with warm weather and some sunshine. May in Paris is the month of flowers, outdoor activities and locals start enjoying Paris at night. There also 3 public holidays (1st May, 8th May and 30th May), when locals like to plan family vacations or long weekend getaways. If you are visiting Paris in May, it is better to book your transportation tickets in advance! 14) Belleville artists’ open studios. For one day, the artists living in this artsy neighborhood open their studios for free and it is a great opportunity to explore Belleville and make new artistic discoveries. 15) Fun Treasure hunt in Luxembourg Gardens. 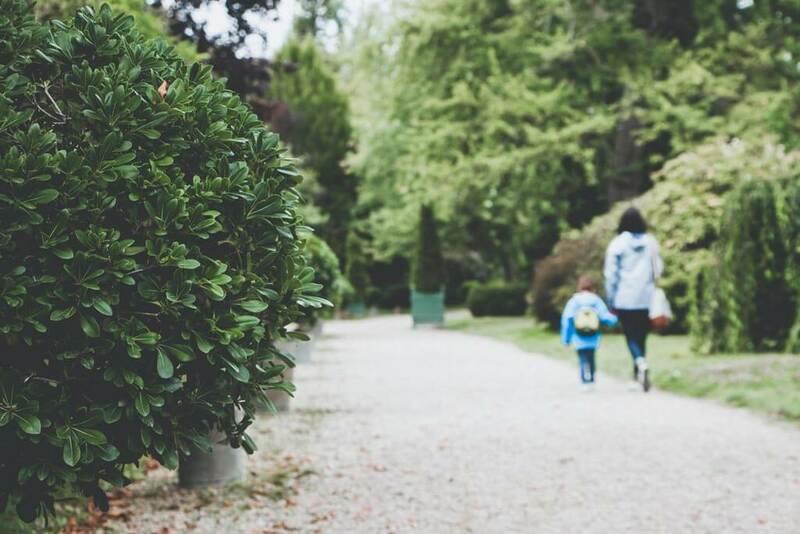 Learn about Luxembourg Gardens while looking for Queen Marie’s most precious treasure with this fun DIY treasure hunt. 16) La Nuit des Musées (Museums’ Night). The third Saturday in May many French museums open their doors at night for free, with activities in parallel such as shows, readings, and concerts. This is a great opportunity, for example, to visit the Louvre Museum for free. 16) Music Festivals. In Paris in May the city kicks off the season of Music Festivals with some very cool proposals, such as the Jazz Festival at Saint Germain-des-Prés in Paris 6 or Villette Sonique. In June, one can almost feel the summer in Paris and there’s plenty going on in the City of Lights. Visiting Paris in June means trendy terraces, (almost) summer festivals or apéros by the Parisian canals. June in Paris is definitely a great month to visit Paris! 18) Get boozy at Paris Beer Festival. For a whole week, from 8th to 16th June, beer is the star with many beer tastings, brewing conferences and workshops, and cool performances. 19) Check out the amazing street art plastered on the walls of Paris 13. 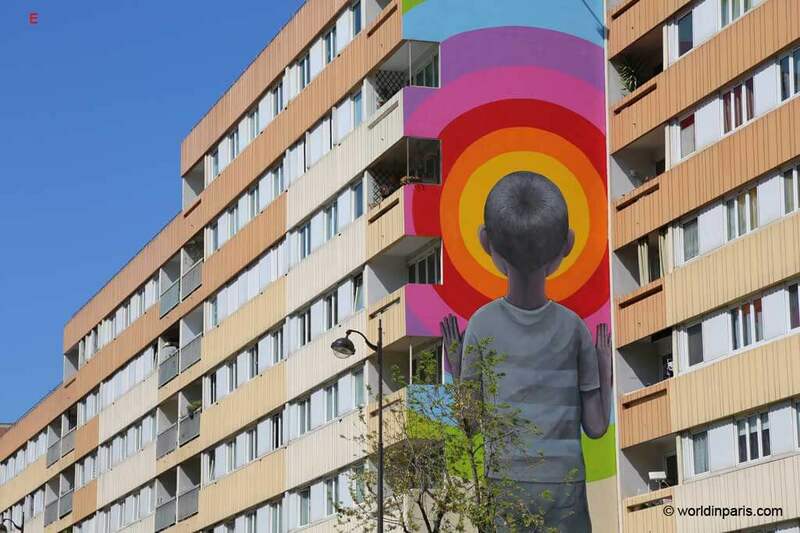 Huge murals by famous street artists from all the world have invaded the biggest avenues in Paris 13 and now street art is part of the landscape in this Arrondissement of Paris. 20) Fête de la Musique. This sleepless night celebrates the summer solstice in the Northern hemisphere (21st June) with music bands and small concerts everywhere in Paris. La Fête de la Musique (Music Festival) is always the kick-off of a fantastic Summer in the City of Lights! Spring showers are not uncommon in Paris, especially during April. 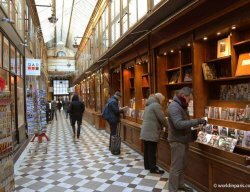 If rain in Paris is getting you down, check out our list of indoor activities in Paris day for a great “B plan” in the City of Lights. 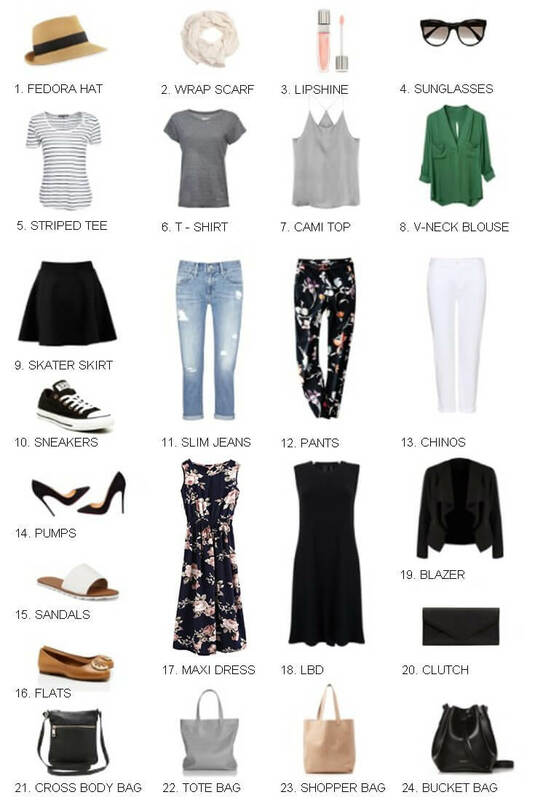 Springtime in Paris, what to wear? Paris in the spring means unpredictable weather with warm and sunny days but also rainy and chilly days. 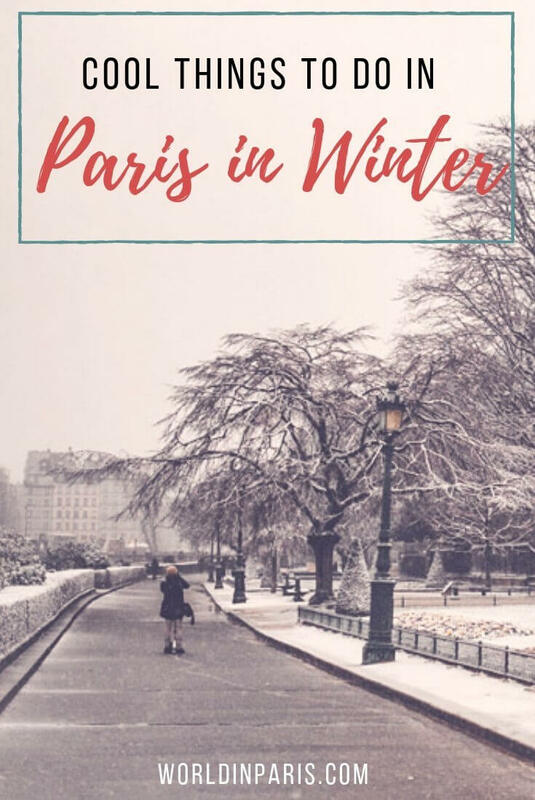 You’ll still want to pack plenty of warm clothes, particularly if you’re visiting Paris in April, as it can sometimes feel colder than you expect. If you visit Paris in the springtime you need to be prepared for anything! When thinking about spring in Paris clothes, layering is essential and your list of spring clothes will definitely include a jacket or a trench coat for rainy days. Items like a foldable umbrella and a light scarf will be your best allies so don’t forget to include them in your Paris packing list. Looking for an anti theft bag for your day explorations in Paris? Check our anti theft travel bag quick guide, with the best models in the market. Have you visited Paris in April, May or June? 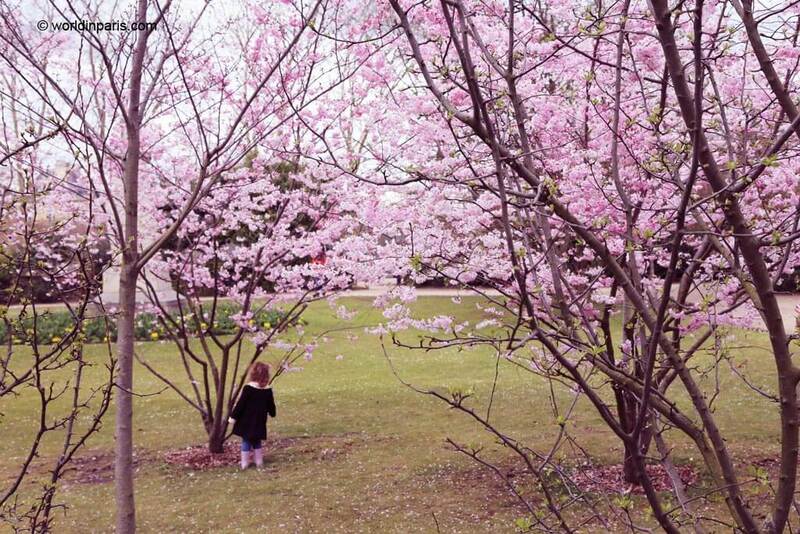 What is your favorite activity in Paris in the Spring?